We are a family run business specialising in used touring caravans, situated in Powick, Worcestershire. 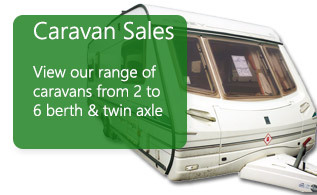 On our site, we stock a variety of used tourers, so why not come and give us a visit. Alternatively, you can browse our online catalogue to see our current selection of caravans including Abbey, Bailey and Sterling. Not only do we have a good selection of quality used caravans, but we have them to suit all different needs and budgets, as well as berths, ranging from 2 to 6. Here at Ridgeway Tourers we aim to treat each customer with the highest care and after sales support that you just don’t get with big caravan dealers. We believe our customer service is second to none and pride ourselves in the standard we present all our caravans to. Every caravan is always valeted inside and out and unless stated, although used, all our caravans are fully serviced and come with warranty. 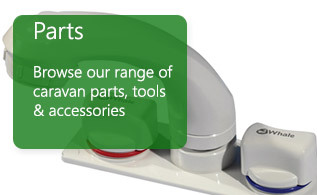 Not only do we stock used touring caravans but we stock a variety of parts, tools and accessories to go with your tourer. Even if you haven’t bought your caravan from us then you’re still welcome to come and visit our shop on site. We stock a variety of products to suit all needs or solve any caravan problems, we're sure we will have what you are after. Thinking of selling your caravan? Then why not fill out our enquiry form to find out an estimated price for your caravan. Ridgeway Tourers buy a mixture of caravans as well as berths; we aim to offer you the best price with the easiest selling process around. If you have any questions about our caravan services that we offer, then drop into the office or contact us on 01905 923866. 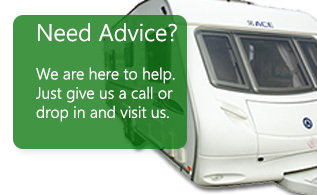 We will do our best to answer any of your caravanning questions.